Primarily, most ICT startups will source funding from founders, family and friends known as seed capital. Seed capital is the initial capital to start a business. It is usually sourced from the business founder or from family or friends. There are also a number of seed capital funds. 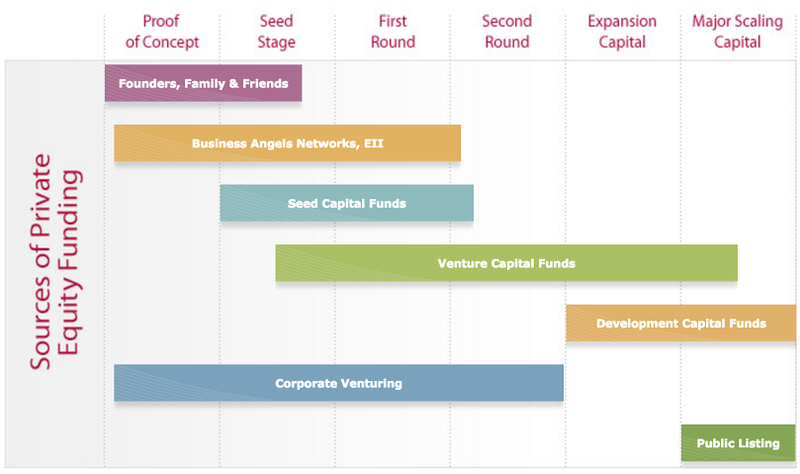 Seed capital is relatively small as the business is still at the idea and pre-revenue stage. The purpose of which is to cover initial operating costs to attract venture capital investment. Most start-ups use personal savings of the start-up founder; the greater the personal finance invested the stronger the bargaining position with other financers. Grant support is available through the Local Enterprise Office (LEO) or EI’s HPSU department, subject to eligibility criteria. Investors and founders may qualify for tax relief under the Revenue Employment Incentive and Investment Scheme and Revenue Seed Capital Scheme respectively. Business angels also known as ‘informal private investors’ account for the greatest source of seed and start-up capital. Business angels are entrepreneurs who have achieved wealth from their gains in previous investments (Enterprise Ireland, 2015). Angels are motivated by return on investment and will seek active participation in the company in return for capital investment, know-how and valuable expertise and guidance. Finding business angels is very difficult in Ireland. EI, the Business Innovation Centers (BICs) and InterTradeIreland have collaborated to build a business angels network to match start-ups with investors. EI’s growth Capital department can connect founders with business angels through the Halo Business Angels Partnership program managed nationally through Halo Business Angel Network (HBAN) or locally through Dublin BIC, CorkBIC, South EastBIC, WestBIC. Business angels can also qualify for tax relief through the Revenue Employment Incentive and Investment Scheme. Seed Capital Fund investment is usually made in early-stage companies bridging the gap between business angels and venture capitalist in return for equity in the company. Currently, there is a total of €124m under management in EI supported seed capital funds. The four main seed funds in Ireland are AIB Seed Capital Fund, AIB Start-up Accelerator Fund, Bank of Ireland Early Stage Equity Fund and Bank of Ireland Start-up and Emerging Sectors Equity Fund (Enterprise Ireland, 2015). Venture Capital is capital provided by full-time, venture capital firms who invest in ambitious, fast-growing companies which have potential to grow significantly. In return for investment and management expertise the VC looks for a minority share capital of the business. The VC funds typically invests mainly in businesses with a strong, skilled management team within a fast growing, attractive sector with the view of realizing their investment in five years either through floatation, trade sale or for the stake to be bought out by the business. Currently, there is over €800m funding available through networks of angel investors, seed and venture capital and development capital firms. A total of €685m is under management in EI supported seed and venture capital funds (Enterprise Ireland, 2015). Development Capital Fund Scheme provides funding for mid-sized, export businesses that are critical to the economy’s growth, namely manufacturing and technology companies in traditional sectors such as food, life sciences, engineering, services and electronics. Typically, funds invest between €2-10m in equity, quasi equity and debt (Enterprise Ireland, 2015). Corporate Venturing provides venture capital from one company to another. Similar to VCs in that they seek promising companies but unlike traditional VCs Corporate VCs are more risk-averse and target certain sectors. The investment decision is based on how well the company/product fits within the Corporate VC’s own R&D. The investment can range from €50k in very early stage start-up all through many millions over the development stage (Enterprise Ireland, 2015). Public Listing (IPO) is the first sale of stock (shares) to the public normally on a stock exchange. Irish companies tend to list on Irish Stock Exchange (ISE), London Stock Exchange (AIM) and NASDAQ (National Association of Securities Dealer Automated Quotations) system for over the counter stock trading. NASDAQ Exchange is the world’s first electronic stock market established in 1971 (Enterprise Ireland, 2015). Stage of development interpretation in seed funds can differ from that of other venture capital funds. The sectoral breakdown of ICT is presented as ‘Communications’ and ‘Software’ separately and not as a collective ICT. 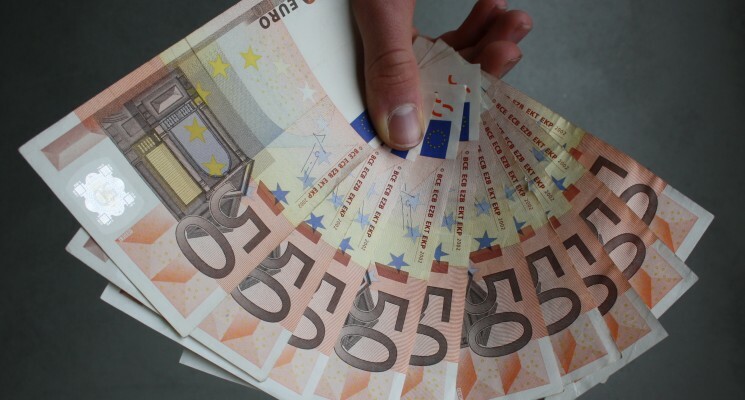 EI has committed €99.5m to a number of Venture Capital (VC) funds under the Seed and Venture Capital Scheme 2013-2018. These funds are fundraising and will target investment in the wider ICT and life sciences sectors. In the 2007 -2012 programme a total of 539 combined seed and VC investments were made of which software accounted for 290 (49.64%) with a total value of €140m, communications accounted for 66 (8.30%) with a total value of €24m. The 1994-1999 programme a total of 146 investments were made with software related projects accounting for €92m (71%) and €17m (13%) to communications. From the figures above software accounted for a staggering 71% investment in the 1994-1999 programme to the value of €92m. Subsequently, this percentage dropped to 47% and 49% in 2000-2006 and 2007-2012 programmes respectively. Interesting to note that in the 2013-2018 programme only €99.5m will be a target investment fund for the wider ICT sector as a shared fund with the life sciences sector. Compare this to a total of €92m for software projects alone in 1994-1999 considering the value of €92m at that time. Although the €99.5m 2013-2018 funding is a shared fund for the wider ICT sector and €92m invested in 1994-1999 was in ‘software related projects’ it is not a like for like comparison (i.e. comparing wider ICT with software only). However, despite the comparison not being like for like, in my view, the figures illustrate a significant decrease in total funding for technology since the mid to late 1990’s. As noted in point 1 above in my research, I understand that stage of development interpretation in seed funds can differ from that of venture capital funds. Should stage of development be interpreted differently? Does it not stand to reason to have be a clear, unambiguous and common understanding of each stage of development by all stakeholders? For this reason I sought to determine if there was a global standard meaning for the stages of development of a start-up. I discovered Startup Commons. The initial mission of Startup Commons was “to find a simple, holistic and global common terminology to talk and describe the various stages of a start-up journey” (Startup Commons, 2015). 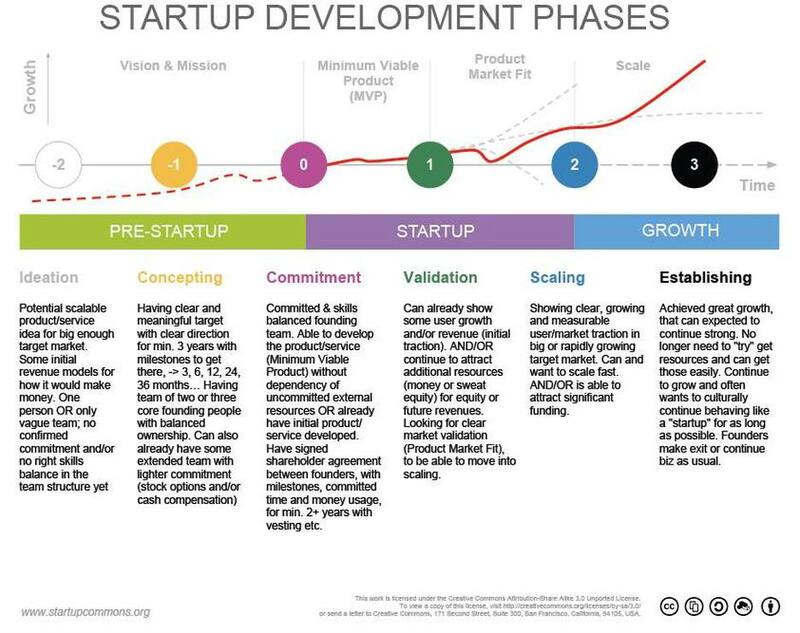 The following high level framework was developed to describe each start-up development phase. This framework can be used for all parties as a tool to determine the stage of development of each start-up company and therefore make the appropriate funding decisions. Interesting to note Startup Common has partnered with EI’s counterpart in Finland (NewCo Helsinki, 2015). It appears that there is a lack of common language around the area of start-ups amongst the various stakeholders. Recently I blogged about the meaning of the term ‘start-up’ and the different definitions. The absence of a common global definition of a ‘start-up’ along with different interpretations of phases of start-ups amongst investors can only serve to make things more difficult for the entrepreneur who is seeking funds for its start-up business. Establishing a global common language will best serve the entrepreneurs of today. This a global problem which requires a global solution. Why not take the Silicon Valley model and make it a global one? It is only with a common and shared understanding can the best decisions be made, particularly when it comes to funding.